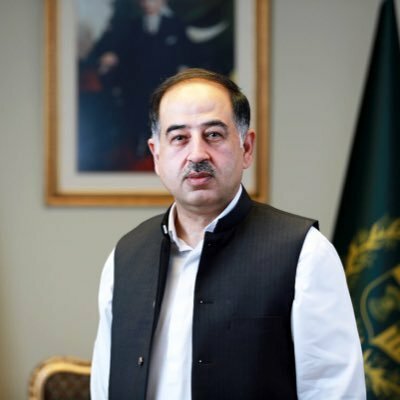 ISLAMABAD, Feb 12 (APP):Special Assistant to Prime Minister on Media Affairs Iftikhar Durrani Tuesday said that previous governments were responsible for the current financial crisis in the country and Pakistan Tehreek-i-Insaf (PTI) government was committed for economic revival. Talking to private news channel, the previous governments had done many objectionable activities which had damaged the economy of Pakistan, adding, our government is determined to put Pakistan’s economy on the right path. He explained , Pakistan is facing current fiscal deficit and has been trying to introduce economic reforms, adding, going to IMF for a bailout package is the need of the hour. He further appreciated that the historic address of Prime Minister Imran Khan at World Governments Summit. He said the inherited balance of payment is due to negligence of previous governments and there is no other available option other than approaching the International Monetary Fund (IMF), but this will be last time in this regard. why the Pakistan Tehreek-i-Insaf-led (PTI) government had decided at the start of its term to take measures to bring the country out of the crisis. Iftikhar Durrani said , Pakistan now needs IMF support to overcome fiscal deficit as Pakistan is now in a better position to negotiate with IMF because the government will aim to have a minimum impact on low-income classes, he added. As a result of previous economic policies, the rich get richer and the poor get poorer but the incumbent government will try to abolish discriminatory economic policies across the country, he mentioned. Durrani hoped that in coming five years, imports would be decreased and the country’s exports would further increase. PTI government would not compromise on the ongoing accountability process in the country, he mentioned. He said for the previous governments of Pakistan Muslim League-Nawaz (PML-N) and Pakistan Peoples Party (PPP) for destroying the state institutions through corruption. Durrani was of the view that PTI government had inherited ‘financially empty institutions’ and added that Pakistan Steel Mills (PSM) , Pakistan Post and Pakistan International Airlines (PIA) among other institutions have been destroyed. Replying to a question , Iftikhar Durrani said, the government believed that Shahbaz Sharif was using the PAC as a shield against corruption cases he was facing and he should honorably resigned from his seat. In another question he said , Opposition still demanding for the National Reconciliation Ordinance (NRO) but Prime Minister Imran Khan will never give it to them.